Jordan Creek Pediatric Dentistry provides superior pediatric dentistry in the surrounding Des Moines, IA area. Dr. Robert Burns and Dr. Elizabeth Nelson see infants, children and young adults. Their goal is to make the trip to the dentist a fun, easy experience for children and parents alike. Get to know the Jordan Creek Pediatric Dentistry doctors and staff before your first appointment! Dr. Rob grew up in Pella, Iowa. Although he moved to Iowa as a teenager from Wisconsin he unfortunately retains a slight accent which most people let slide! He attended Minnesota State University, Mankato on an athletic scholarship and then finished his college studies at the University of Iowa. While at the University of Iowa he was elected to the National Society of Collegiate Scholars. After college, Dr. Rob completed his Doctor of Dental Surgery degree at the University of Iowa College of Dentistry in 2005. He was elected Class President by his peers and was also a Dean Leadership Award winner all four years. Although he enjoyed all aspects of dentistry it was Pediatric Dentistry that was his true calling. He completed his specialty training in Pediatric Dentistry at the University of Iowa in 2007. He moved back to Des Moines and started Jordan Creek Pediatric Dentistry in August 2007. We are proud to announce, that in addition to being a former Adjunct Professor for the University of Iowa College of Dentistry, Dr. Rob is a Board Certified Pediatric Dentist. This is also referred to as a Diplomate of the American Board of Pediatric Dentistry. In order to be certified, a pediatric dentist voluntarily completes a rigorous process of testing and peer evaluations designed by the ABPD. Dr. Rob's successful completion demonstrates his lifelong dedication to achieving the highest level of knowledge and skill in his specialty and insures you that your children will be receiving the best dental care available! Dr. Rob and his wife Kari have 3 daughters that keep them very busy. When he is not in the office you'll likely find him playing golf, boating, or watching sports! Dr. Beth grew up in Urbandale, Iowa. After high school, she attended the University of Iowa on a Presidential academic scholarship. Dr. Beth enjoyed many leadership roles in her activities including president of the Greek honor society her senior year, and was elected to the Phi Beta Kappa Honor Society in 2001. 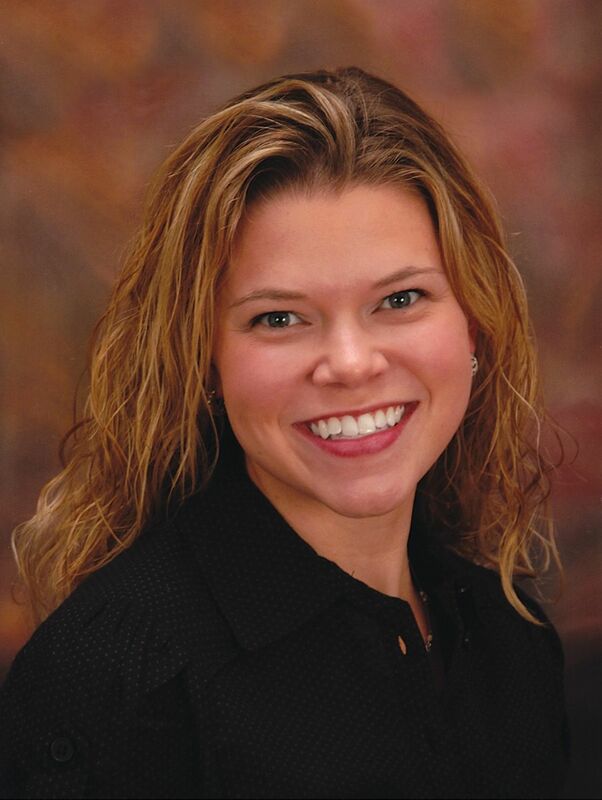 Following college, Dr. Beth completed her dental education at the University of Iowa College of Dentistry (also graduating in 2005 with Dr. Rob!). In her junior year, she discovered her true passion for pediatric dentistry and was chosen to participate in a summer internship to complete operative treatment for children with severe dental needs. Dr. Beth was also the recipient of the American Academy of Pediatric Dentistry Award for her graduating class. Upon completion of dental school, Dr. Beth moved to Michigan with her husband and completed her specialty training in Pediatric Dentistry at the University of Michigan School of Dentistry in Ann Arbor and Flint. After many long, arduous hours working on her thesis, she also obtained her Master’s Degree in Pediatric Dentistry prior to graduation. Before returning to the Des Moines area in 2012, Dr. Beth had the opportunity to work at many wonderful pediatric and general dental practices while her husband completed his medical education and training. She considers her experiences in Michigan, St. Louis, and Carroll, IA to be valuable extensions of her training. Dr. Beth was excited to join the Jordan Creek Pediatric Dentistry family in the summer of 2012 and couldn’t be happier to work alongside such terrific, hardworking team members! Dr. Beth and her husband Chris have two wonderful children who truly are the light of their lives. When she is not working, Dr. Beth enjoys reading, exercising, and spending time with her family and friends. Contact Jordan Creek Pediatric Dentistry today at 515-222-1800 to schedule a pediatric dentistry appointment with Dr. Robert Burns or Dr. Elizabeth Nelson. Please browse our website for more information regarding treatment or touring our office.